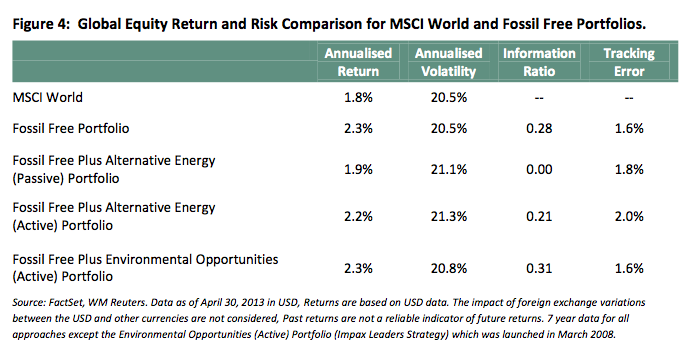 The MSCI World Index without the fossil fuel energy sector (the “Fossil Free Portfolio”). This report is exciting news for fossil fuel divestment activists–we have moral and economic arguments on our side! Voters Think Climate-Denying Republicans Are Crazy. Divestment Theory of Change Is a Reality.